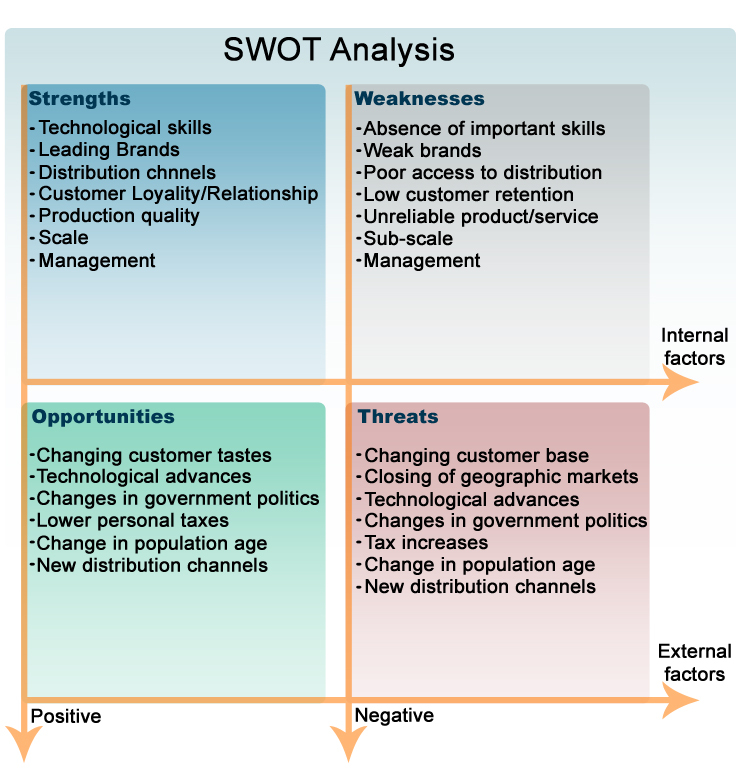 The S.W.O.T (SWOT) analysis is a staple model in any self-respecting business analyst’s kitbag and specifically those in the strategy function. As the acronym indicates, the purpose of the SWOT is to determine the Strengths and Weaknesses within the business and the Opportunities and Threats posed by the external environment. These terms can stand alone but the synergies between them drive real insights. Example: Strengths and Threats are closely aligned. This does not mean that for every strength there must be a corresponding threat. It does mean that if you consider one aspect of the business a strength, then it is wise to seriously consider what’s happening in the market that could challenge that strength. For example, about eight years ago, I was facilitating a two-day offsite workshop with a group of senior managers. They argued strongly that their primary competitive advantage was that their call centre was “in-country.” I suggested that the telecommunications market was already changing and call centres were moving offshore and becoming a commodity service. They refused to accept this point and said their product was reliant on having an in-country service. I pointed out that they already serviced New Zealand from Australia, but they said that was different. They now use a call centre from offshore. They were forced to, as the threat they originally denied has almost become the standard go-to service for all players in their market. 1. The content lacks context. 3. The content is frequently riddled with motherhood statements. A motherhood statement is a statement that makes little or no sense in the negative. By way of example, I Googled “SWOT Analysis” and picked the first result, which you can see in the graphic. If you look ‘Strength’ – the first line is technological skills. This is a great example of a motherhood statement. What does it mean? Try state it in the negative. You could go for “no technological skills” but what if the intended strength was ‘unique technological skills’ or perhaps it was referring to situation where the company had done away with need for technological skills. If the negative of the statement cannot be easily articulated then the positive should be considered equally nonsensical. Additionally using a 2:2 grid tends to limit the thinking and divorce the authors from intended scope of the SWOT analysis. The author frequently captures the obvious statements and once they have a handful of statements for each header they stop. For mine, the graphic is a good example of this point. To address these issues I recommend overlaying the SWOT analysis against the process being analysed. At the highest level, the process is the value chain. Other processes could be the procure to pay, order to cash or a detailed process such as warehouse management. Now take the strength of ‘technological skills’ – where would you apply it; or take the weakness – sub scale – where would you apply it (whatever it means). Once you have completed the analysis, review it for empty cells – does an empty cell mean there is genuinely no content for that cell or does it mean that the authors have not thought hard enough about it. Using this layout, you can prepare a meaningful analysis without using statements. Red is weak, Green is strong. Visually it is readily obvious that the company has a problem in Inbound Logistics, Operations and Sales and Marketing. The strength is in Outbound Logistics followed by Service. Finally the ‘So What’ question must be answered. If you look at the Agrowiki SWOT graphic it is impossible to draw a meaningful conclusion from the analysis. If you look at the SWOT analysis in association with the value chain it is substantially easier to draw meaningful conclusions from the analysis. There are no right or wrong answers when working with models. But there are stronger and weaker analyses. Giving a model context will always produce a stronger result. Here’s wishing you all the best with your future modelling. This entry was posted in Consulting Techniques and tagged business models, strategic planning, swot, workshops.. Bookmark the permalink.